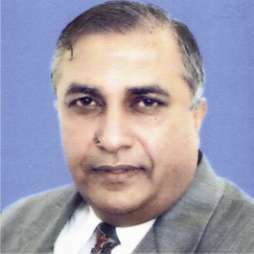 The industry representatives have condemned the target killing of industrialist Asghar Rajani in SITE area last evening saying it an act to once again suspend the business and industrial activities in the city. The Patron In-Chief Korangi Association of Trade and Industry (KATI) S M Muneer, Chairman Mohammad Zubair Chhaya, President All Karachi Industrial Alliance and Vice Chairmen Najmul Arfeen and Niaz Ahmed while expressing their profound grief to the family of the deceased, said that the target killing in the city is frequently continuing and the lives of the Karachiites have become miserable while trade and industry is living extremely frightening lives. They said that despite all demands and appeals by the business community to arrest the target killers and give them exemplary punishment, no action has been taken by the provincial government and law enforcing agencies except cosmetics. They demanded of the Governor Sindh Dr Ishrat Ul Ebad to take this serious matter into his hands and order cleansing of the target killers. They said that the business community has now resorted to take it on to the streets and if no effective measures would be taken the trade and industry would be compelled to take extreme line of action.